Casey Wilkes is a woodwind specialist and guitarist. 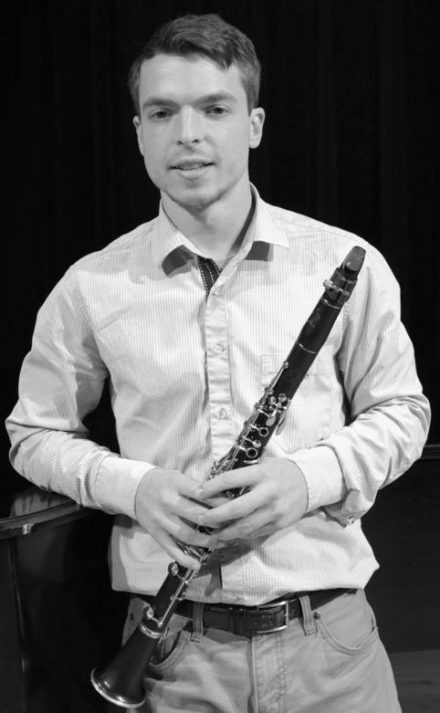 He holds a Master of Music from the University of Delaware and a Bachelor of Music from Loyola University in New Orleans, both in Clarinet Performance. Casey has performed as a featured soloist with the Newark Symphony Orchestra, The University of Delaware Symphony, and the New Orleans Volunteer Orchestra. He won the University of Delaware Concerto Competition and was the recipient of a “Downbeat” Award. As a music educator, Casey works in schools throughout Maryland and DC. His students have won seats in All-State bands, sat as section leaders in their school bands and orchestras, and have been awarded scholarships to college. Casey regularly performs with symphony orchestras, musical theater ensembles, jazz and rock combos, and as a solo artist. His performances have spanned the globe from the United States, France, Germany, Luxembourg, and Taiwan.